Click here to get an instant Individual & Family Medical, Small Group Medical, Dental & Term Life Insurance. Click here to get an instant Individual, Family & Group Dental & Vision Plan only. Click here to get an instant International Travel Medical Insurance with GeoBlue Travel. Click here to get an instant International Travel Medical Insurance with HTH Travel. 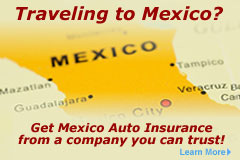 Click here to get an instant Mexico Auto Insurance. Or take a moment and fill out the form below – nothing is required, share only what you like. One of our agents will get back to you shortly to help you find the right insurance at the right price.